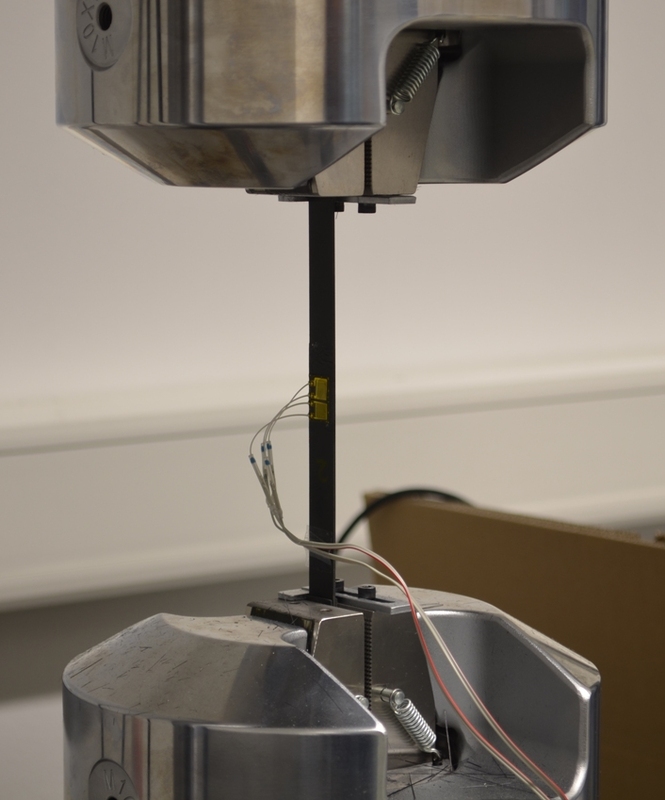 Tensile (or tension) testing is a fundamental materials science test in which a sample is subjected to a controlled static tension until failure. The results from the test are commonly used to select a material for an application, for quality control, and to predict how a material will react under other types of forces. To gain high quality testing results the fabrication and preparation of the specimen in particular must be done with great care. Cap strips of +/-45° oriented tapes prevent unacceptable clamping area failure. The requested highly accurate manufacturing of the rims of the specimen can be achieved by strictly following the order of fabrication (cutting the specimen after applying the cap strips). Using diamond blades or CNC milling machines are state of the art. Specimen with 0° (parallel) and 90° (transversal) fibre orientation are used to determin the values needed for material characerisation concerning stiffness and strength.